The life of today's greener than ever and natural products are becoming increasingly house. This delightful fabric with moss-green floral print gives your living room or bedroom at once a warm natural feel. This fabric is perfect for decorating a living room or bedroom. 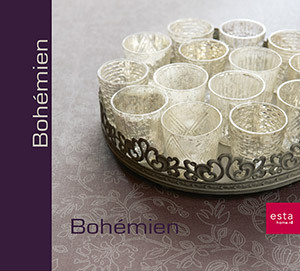 You will find this fabric with a kingfisher motif in moss green (186306) the collection Bohémien.